Thinking of live tweeting from Maui Fair this weekend. I love Maui Fairs like what I shared at Maui Family Magazine. While live tweeting at the Maui Fair, I will use the hashtag #MauiFair. Who’s joining me? It’s tweet on your own – no tweet-up. 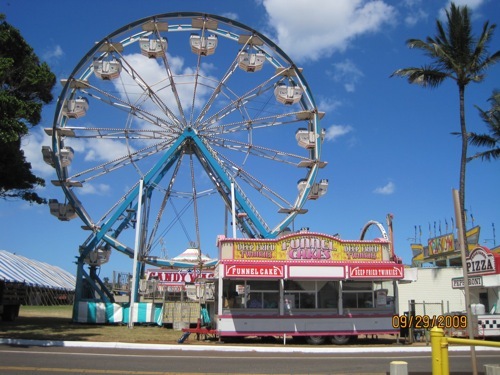 Just make sure you use the hashtag #MauiFair when you tweet or FB from there. We hope you and your family get to enjoy it. My mother-in-law took my son, to him the fair is the equivalent of Disneyland on steroids.